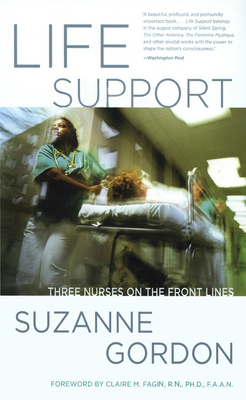 In this book, Suzanne Gordon describes the everyday work of three RNs in Boston--a nurse practitioner, an oncology nurse, and a clinical nurse specialist on a medical unit. At a time when nursing is often undervalued and nurses themselves in short supply, Life Support provides a vivid, engaging, and intimate portrait of health care's largest profession and the important role it plays in patients' lives. Life Support is essential reading for working nurses, nursing students, and anyone considering a career in nursing as well as for physicians and health policy makers seeking a better understanding of what nurses do and why we need them. For the Cornell edition of this landmark work, Gordon has written a new introduction that describes the current nursing crisis and its impact on bedside nurses like those she profiled in the book.